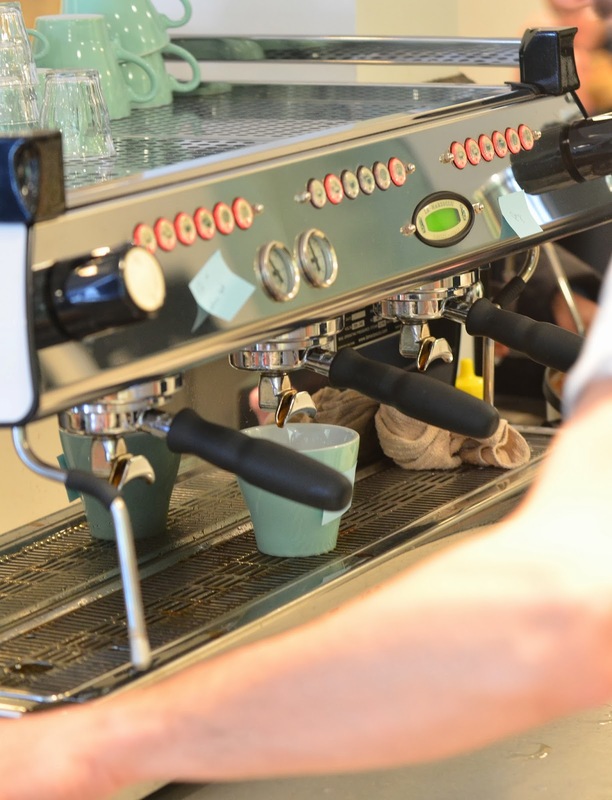 On saturday mornings we like to go out for coffee, and this week we tried some place new. 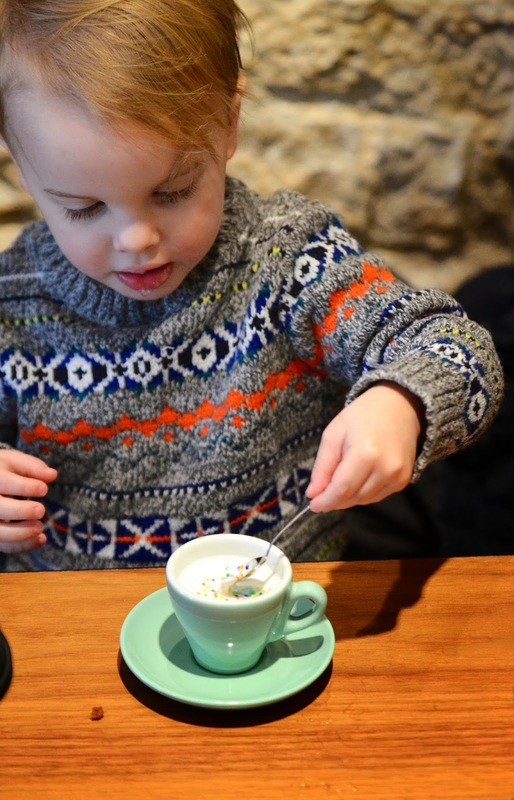 Little Sister Coffee Maker was super cute, had delicious coffee, and Soren got his very own steamed milk with sprinkles. 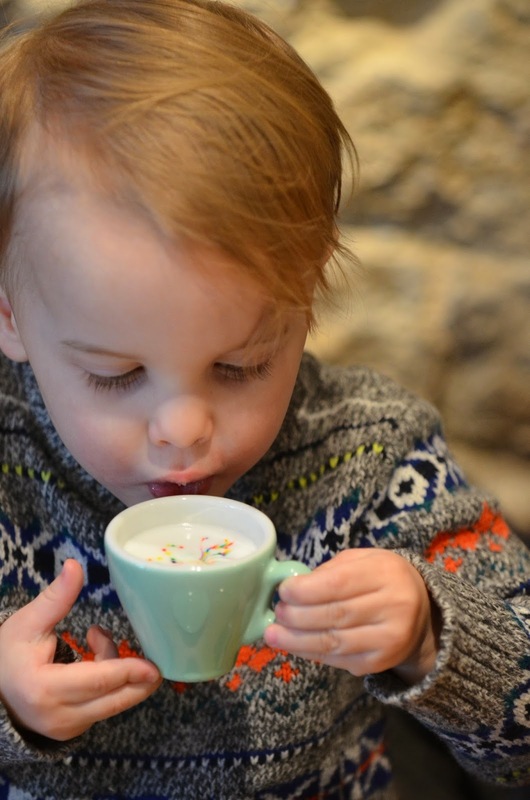 He was so excited about the little cup and spoon, and sat up extra tall on his chair as he sipped his 'coffee'. I know little boys are supposed to be rough and tough and run around like crazy, but it sure is nice to have a little guy who can also sit still for a few minutes. As much as he likes to be chased and jump on me, he also loves spending time in his kitchen and pretending to make tea. It's funny how fast toddlers change - a few weeks back I was pulling my hair out dealing with tantrums and hitting issues. This past week has been much, much calmer, which is a very welcome change. On the other hand, we are dealing with night terrors almost every night. Poor Soren wakes up screaming one or two times per night, which is rather alarming when it blasts through the baby monitor. He says he's having bad dreams, but can't remember or can't articulate what they are about. Hopefully this stage passes quickly, as it sure is heartbreaking to see him so upset.